I’m very protective about my phone. It’s my lifeline – it’s a phone, camera, calendar, alarm clock, and more. I dropped my previous iPhone early in the summer and cracked the screen to the point where it was almost unusable. Luckily I was only a few weeks away from being able to upgrade, so I didn’t have to suffer too long! Since then I’ve been picky about the cases I use, and try to chose the ones that offer me the most protection from not only dropping and breaking, but also from everyday life at the bottom of my diaper bag. 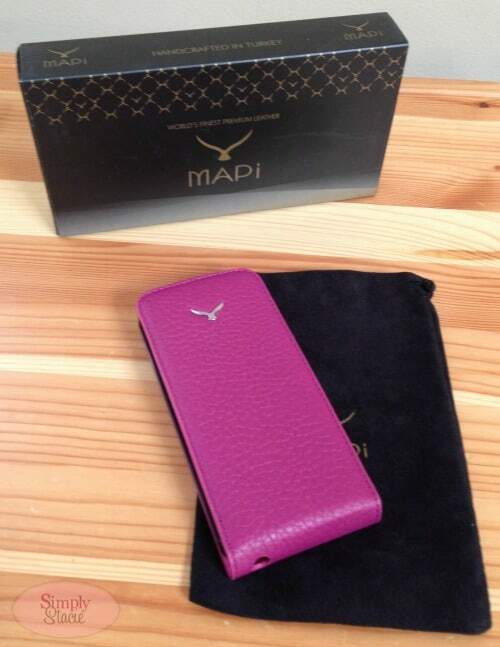 MAPi offers that type of protection for smartphones and tablets in their line of genuine leather cases. 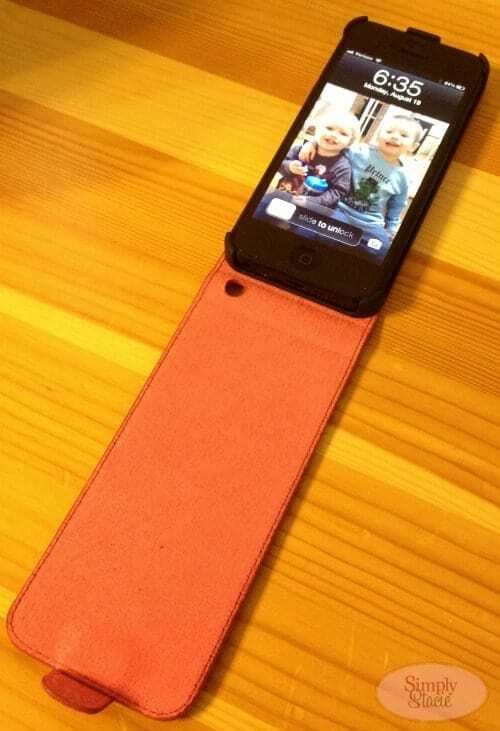 I received an Altos iPhone 5 Flip Case in raspberry leather from MAPi for review. I love the color of this case. It’s bright and fun and really stands out when buried in my bag! The idea behind this case was to integrate the protection of an engineered plastic shell with a stylish leather wallet design. My phone clipped into the plastic cradle of the case quite easily, leaving all my ports free and open for use. The flip style of the case keeps my screen protected from scratches and dings. I’ve never had a flip style case before, and wasn’t sure I would like it, but to be honest, it’s fantastic. I love knowing that my phone is well protected when I’m not using it. This is definitely a great case if you’re constantly throwing your phone in your purse or backpack like I am – I love the sense of security I have with knowing my phone is so well protected. This case sells for $55 on the MAPi site. They also carry some great looking wallet style and belt-clip style cases if you prefer to carry your phone that way. Founded in 2004, MAPi sells top-quality genuine leather smartphone and tablet accessories. They use only 100% high-quality cowhide leather in their products. Every piece they sell is created by the MAPi team of artists in their manufacturing facilities in Istanbul, Turkey and carry the marks of traditional methods of leather craftsmanship. They guarantee that their products are high-quality, stylish, and flawless. To see the full line of accessories MAPi has to offer, visit their website. You can also find them on Facebook, Twitter, and their blog. This is what I have been looking for.I dislike the tacky plastic cases.Thanks. I feel the same way about my iPhone! MAPI has beautiful, classy and functional products, thanks for introducing me to MAPI! This is a very nice product that looks well made and the color is so pretty. I like the look and it makes your IPhone look so nice. This is a product that I would love to have! These look like nice cases, so much better than the plastic ones. Will have to look at getting one, thanks for the review! I love high quality things. It looks very well made! Looks like they make nice leather cases – may have to buy a case for my i-phone. I love this pink/fuschia color and the case looks to be very classy and well made. looks pretty nice to me! I like the idea of the protective cover – but I have to admit that I prefer my OtterBox. I have never seen a flip case before, it is kinda neat. I have a cheap case on my phone, but I have dropped my last two phones and they had to be replaced. So I should get a better case, but not sure I would like the flip case though.